Written by Dan McCarthy, Event Manager and Blogger. Make no mistake: event registration is a key part of your event’s ultimate success. Registering attendees is not only a great way to build your attendee database, it’s also ideal for providing you with the data and tools you need to really up the ante when it comes to attendee experience, engagement, and the efficiency of your systems. Recent years have seen a rapid rise in the availability, effectiveness, and usability of various online event registration platforms. The emergence of this kind of software resulted in a sigh of relief from event planners across the globe so loud, it could be heard emanating from cities all over the world, by everyone within a 10-mile radius of a events company office. Why? Because these event registration platforms speed up and simplify what was previously a seriously labour-intensive and time-consuming job. No more hassling guests with pens and papers, asking them for details when they really wanted to do something else. No more herding attendees into queues to check in. No more filing paperwork, and trying to arrange hard copies of details into neat little boxes. Online event registration platforms are a real game-changer, and we’re more than grateful for their presence. After all, conferences are hard enough to organize at the best of times… so any kind of tool or platform which makes the whole process easier is definitely going to be a hit with us, our colleagues, and individuals elsewhere in the industry! The only real issue is choosing between them. There is no shortage of competing platforms out there, and many of them seem to promise similar things… so how do you decide which one to opt for? Luckily, here at Mask, we’ve tested plenty of the leading names for you, and have our pick of the crop right here for you to consider for your next event. Enjoy! If you’re in event management or planning, you’ll most likely be more than familiar with WordPress. It’s the world-beating service which can be used for a massive array of things, and the chances are, you’re probably running a handful of WordPress sites for various clients right now. What you may not have realised, however, is that WordPress features some seriously nifty plugins for event registrations, including Event Espresso, Event Manager, and Robby Ticketing Systems (to name just a few). These offer the flexibility and creativity we’ve come to expect from WordPress, and are also a cost-effective solution for event planners working to a tight budget. JotForm is considered somewhat different from other event registration platforms, and for an obvious reason: it wasn’t actually created with event registration in mind. In fact, this is essentially an online form-builder… but it’s so efficient and user-friendly, event planners have taken to it for building forms for event registration, and with great success. With an wide array of tools at the user’s disposal, a simple but effective form can be constructed in a matter of minutes. It’s simple, straightforward, and incredibly easy to get the hang of… and sometimes, that’s all you need for the best possible results. EventLeaf may be relatively basic, but if you’re looking for software which has been specifically made for event registration, and which is incredibly easy to get the hang of from the very first moment, it’s not a bad option by any means. One of the most popular features of EventLeaf is the fact that it’s highly customisable – you can add images, embed videos, and include all kinds of extra detail, which for some planners can be hugely beneficial for clarity. Another top feature is the fact that EventLeaf facilitates badge printing and live event check-in, meaning another task can be ticked off the list with ease. An easy to use, highly convenient platform, which puts events organisers in the driving seat as regards the customisation of the software and its uses. Regonline has become a very popular event registration platform in recent years, thanks to a number of improvements made to the service which have really opened up the possibilities of what can be done with it. The major change made has been to do with the attendees can view and book their hotels via Regonline, making their trip to your event much more streamlined and convenient. This extra level of service might not be applicable to every event, but it’s one which has proven popular with the event-going public. If you’re managing a conference, then Open Conference Systems really does have you covered. In fact, you don’t even have to be planning a conference to make use of this great tool – it’s flexible enough to cover a wide variety of events. This thorough system allows you to do much more than just handle event registration, although its event registration options are very good indeed. Indeed, it covers pretty much every aspect of conference management, from website creation to calls for submissions, and much, much more. If you’re looking for a more advanced, smart event registration tool, then the chances are that Oveit is going to tick plenty of the right boxes for you. This software has made waves in the industry due to its innovative approaches, and eagerness to get on board with the latest event tech tools, such as NFC (Near Field Communications) and RFID (Radio-Frequency Identification). 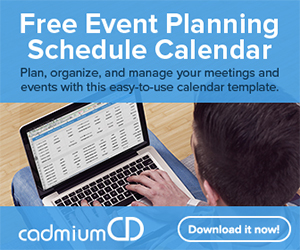 Not only this, but it also facilitates ticketing and registrations based on seating plans… something many event planners have been requesting for years. The fact that there are now so many event registration platforms out there for event planners (trust us, this list is the tip of a massive, massive iceberg) clearly shows that they were absolutely needed in the industry. They’ve taken a massive weight off peoples’ backs, and have relieved more than a few headaches over the past few years! Here at Mask, we’re always keen to seek out the most effective tools, software, and approaches for our fellow event industry professionals, and we’ll be the first to tell you when the next big thing comes along. Until then, we’d love to hear from you if you need any assistance when it comes to anything regarding event planning… we’re not considered a top-notch provider in this industry for nothing, after all! Dan McCarthy is an Event Manager at Venueseeker, an event management company based in the UK. Dan has 5 years of event project management under his belt. He has worked on many successful events, and currently shares his knowledge by writing on the company blog. Follow him on Twitter @DanCarthy2. CadmiumCD does not endorse the positions, opinions, or products of its guest contributors. 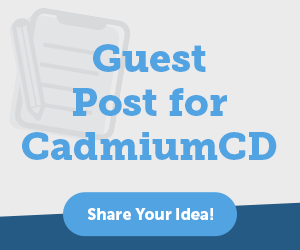 To become a guest contributor of the CadmiumCD blog, submit your article or topic ideas here. All articles are curated and edited by CadmiumCD Marketing Manager, Michael Doane.